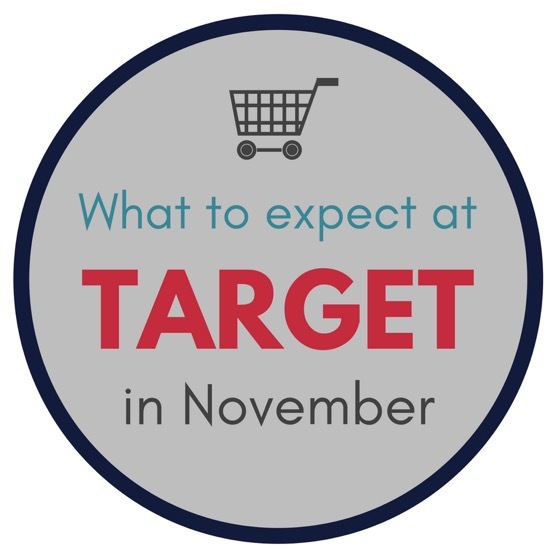 November is a great month for shopping at Target! 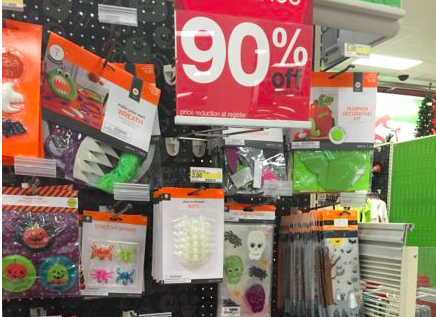 There is the Halloween 90% off clearance, fun new stuff in the Target Dollars Spot, Black Friday deals, fun events and more. Here is a peek at what you will find at Target during the month of November. Halloween Clearance – Halloween clearance should be marked down to 90% off in November (let’s hope we don’t have a replay of the summer clearance this year). The Halloween clearance usually includes the fall items from the Target Dollar Spot. Check out these photos to see the fall and halloween items from the Dollar Spot. I will be sure to post on the blog and Facebook when I know the Halloween clearance has gone 70% & 90% off. We’ll post lots of photos so you can see all the great deals people are finding. Here are the dates from last year, so you can get a general idea of when the next markdowns may take place this year. The Target Toy Book – The Target Toy Book has been released and the deals are valid through 11/21/18. These were delivered in the mail to some people last week. Target is very random when it comes to the delivery of their ads and coupons, we don’t know of a specific way to get on the mailing list. I am unsure if you can pick one of these up in-store, but you can now view the entire catalog online at Target.com. One of the best deals from the Target Toy Book is the coupon for 25% off one Toy, Sporting Goods, Kids Arts/Crafts item (valid through 11/10). Kid’s Daily Deal – Target will offer a different kids item up to 40% off every from November 1-21.. Check here on the blog or with Cartwheel to view the special for each day. Don’t forget, Target now accepts Cartwheel offers for Order Pickup. This may be a great way to ensure you get the daily deal. Black Friday – Target’s Black Friday sale usually consists of 2 days worth of deals. I will be sure to post the best deals Target has during their 2-day sale. We can usually get a sneak peek of the ad. The sneak peek of the ad was released on November 6th. REDcard holders got to shop a few of the Black Friday deals early, we’ll have to see if the same thing happens this year. FREE 2-Day shipping at Target.com – Target.com is offering FREE 2-day shipping on any size order through December 22, 2018. This offer applies to everyone, not just REDcard holders. REDcard holders always get FREE shipping and an extra 5% off their purchase. L.O.L. Surprise Kids Events – Head to Target on Saturday, November 10th from 10-1 pm. 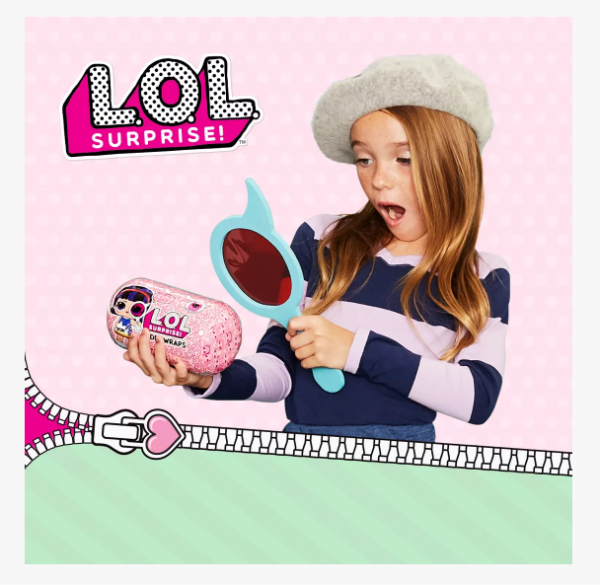 There will be a super fun L.O.L Surprise! Eye Spy Pets Scavenger Hunt where kids will have a blast decoding clues to find a missing L.O.L Surprise! pet. Once the missing pet has been found, they will have a chance to buy an exclusive L.O.L Surprise! Pet Ball for $9.99. This event will include a selfie station, giveaways and more. There is no registration required for this event. To find a Target store that is participating follow this link. Funko Fridays – Beginning November 16th through December 21st, Target will be releasing a new exclusive Funko item every Friday. The Funko items will be available online at Target.com, while supplies last. New Holiday Items in Target Dollar Spot – I know many of you are looking forward to seeing the new items that will be in the Target Dollar Spot this holiday season. My store already had the Dollar Spot filled with new Christmas items. Most stores should have these stocked the first part of November. Clearance Deals – Toward the middle of this month we don’t see as many clearance deals because they bring in so many new items for the holidays. The good news is they will clear out tons of these new things in January!! January is my favorite month to find clearance deals at Target! Because the holidays are so busy and the clearance deals are so low we usually take a break from the weekly clearance updates at the end of November and the first part of December. I thought hand and hearth launched on the 5th???? Do you know when Target has the 10% gift card sale this year? I haven’t heard anything about it yet. I will be sure to post if I hear it is happening. Will do the ornaments from Wondershop gonna be on sale this November? I would assume they would go on sale sometime in November, but I don’t know for sure.. There is a $25 off $75 holiday purchase sale the Saturday after Thanksgiving. I was told at my target here in Phoenix the other day by an employee that target red card holders would get to shop deals early both online and in store. She said info would be on the app about a week before and the sale would be a few days before. Sounds similar to what they have done before but I am hoping the way she made it sound maybe a little bit better? So Target is trying to compete with Amazon and Walmart to get Toys R Us business this year but are NOT having the 50% off daily toy deal? That was the one thing that kept them competitive in my opinion. Doesn’t target usually have a 1 day 25% off all toys? ?